The VMP link is intended to facilitate the digital communication between Marjoland and exporter and to be able to provide more service and customization. The link for your web shop allows you to purchase directly from our supply. This has various benefits; It facilitates the business processes on both sides, it prevents manual entry errors and tailored procurement is possible, preventing you from building huge stock and there are flexible business hours, meaning that the product range is available almost 24/7. Thanks to the devoted employees of the sales department and a variety of logistic options, Marjoland is able to package and delivery its beautiful roses to the liking of its customers in every possible way. Examples of this are deviating numbers per bouquet/barrel or other packaging. A plant remains about 8 years at Marjoland. For that reason, inspection and nurturing is of crucial important for good quality. A lot of attention is paid to this. Various growing specialists are working round the clock to optimize the climate for the plants. The CO2 level, light and temperature can be controlled for each greenhouse, so that the plant feels great at all times. Twice a day, the roses are clipped at Marjoland to be able to sort them on ripeness as good as possible. Subsequently, the roses are cooled to 4 degrees, to take the speed out of the growth process. 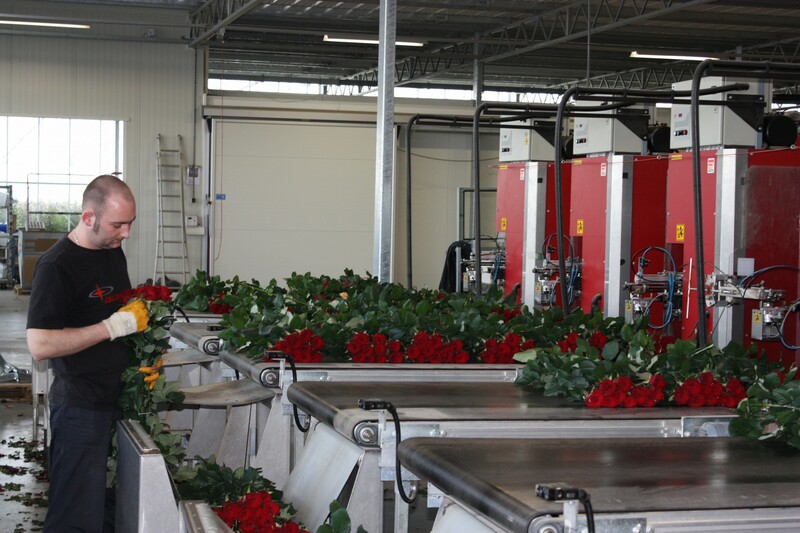 Each rose is inspected manually, after which the sorting machine sorts them by length, thickness and ripeness. Subsequently they are sleeved and put on water. When lengths vary, a carton collar is used to protect the roses as good as possible before they proceed to transport. Since he was a young kid, Joop van den Nouweland knew that he wanted to build his own company. His father was a great example. Koos van den Nouweland had a 1.6-hectare cucumber plantation in Leidschendam. When he was four years old, Joop joined his father to work every single day. This taught him the practice of what it means to be a grower. The profession runs through his veins and in his heart. In 1978 Joop started his own business. “I had 14.00 square meters of glass placed. A significant corner back then.” In his first backyard in Bleiswijk, he grew cucumbers for the first seven years. In 1985 he switched to roses. “You can use love and knowledge to improve your rose, until they stand out between those of other growers”. 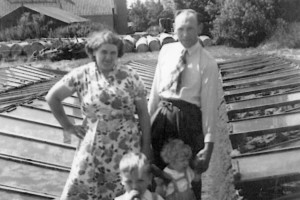 In 1989 Joop and Mariola acquired the market garden of their neighbors. And they doubled again in 1997, when Van den Nouweland expanded with a 3.4-hectare greenhouse at the Abraham Kroesweg in Waddinxveen.  Marjoland was established early 2000, when a new branch was built at the Bredeweg in Waddinxveen. In 2005 Marjoland 2 was built with a 2.7 hectares mobile growing system. The same year, Marjoland acquired the adjacent 4.8-hectare company. 2007-2008 was a time of opportunism and upscaling. The van den Nouweland family wanted to focus on one site. The company in Bleiswijk and one department in Waddinxveen were sold and various companies were acquired. This is how one, spacious plot of 20 hectares was created. 0.8 hectare of this is above the central sorting and packing area. Marjoland is built around the van den Nouweland family. Father, mother, two sons, daughter and a daughter in low. They are involved in the development of the company. 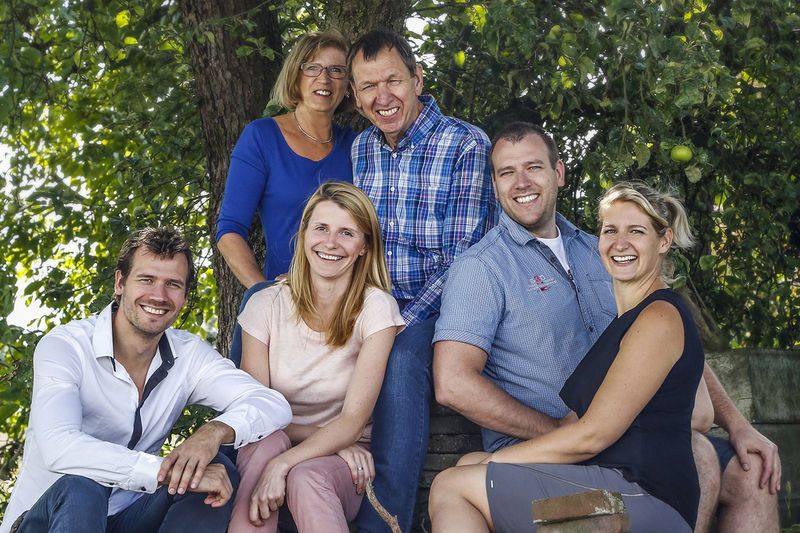 Together with the employees of Marjoland, the van den Nouweland family pursues a great working atmosphere, in which the strong standards and values of the family are central. With the open culture, it offers everyone the opportunity to develop. Marjoland aims to be a social and transparent company that shares knowledge with others. 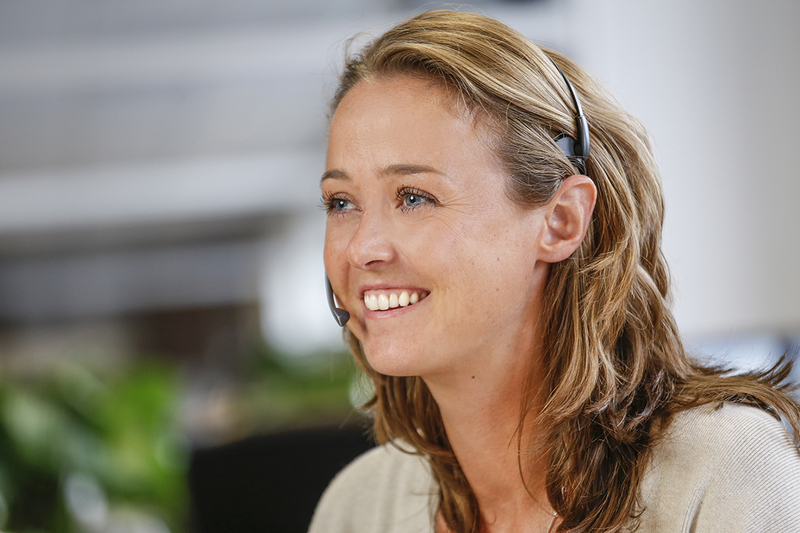 At the same time, employees are encouraged to provide solutions, in doing so, creating more engagement. This way, Marjoland allows people to grow. The Fair Flowers Fair Plants label is present on all roses of Marjoland. Flowers and plants with this label, come from growers who have configured their operations as such, that they meet high requirements in the field of environmental and social aspects. 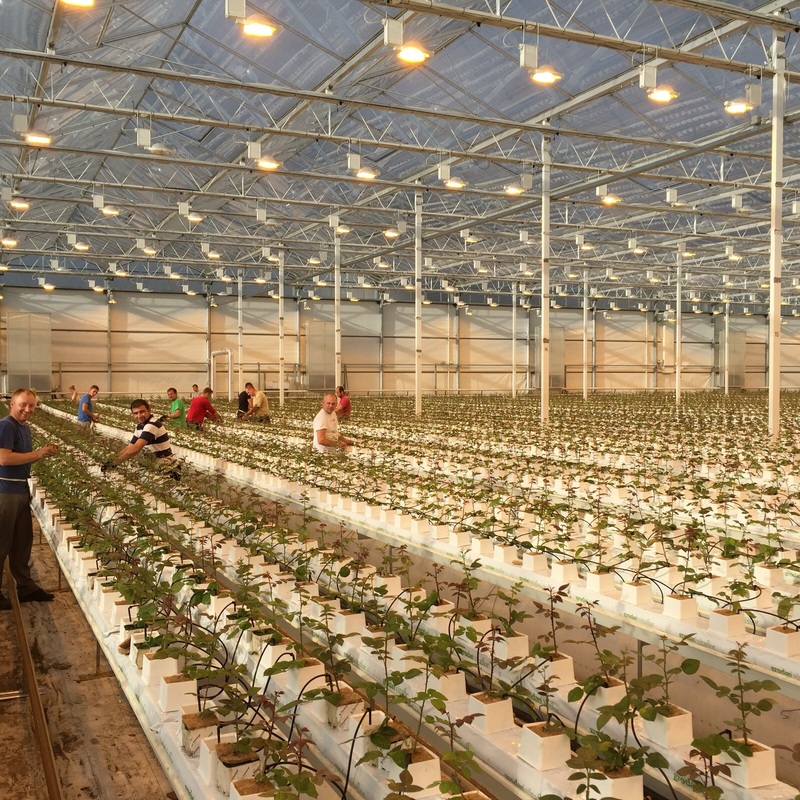 Marjoland is one of few rose growers in the Netherlands with a full MPS certification, allowing it to use the Fair Flowers Fair Plants label. Marjoland has been committed to Ride for the Roses for many years. A wonderful cycling event, the proceeds of which go to KWF kankerbestrijding.